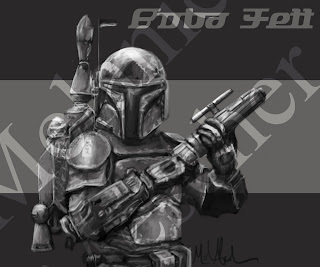 As you can see I finished Boba Fett. 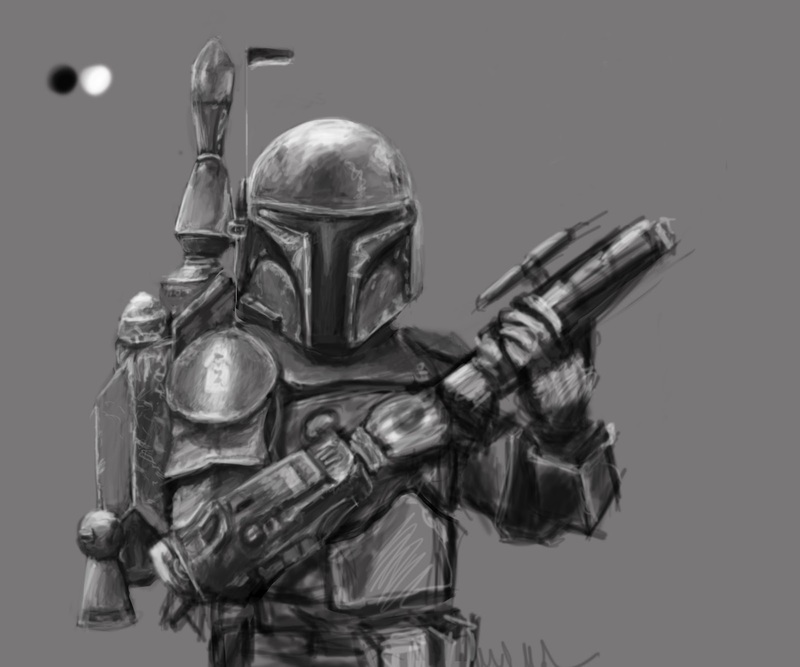 I was thinking of keeping him in black and white. but he looks so much better in color. Also, I have to admit that I use an overlay layer to create the color. 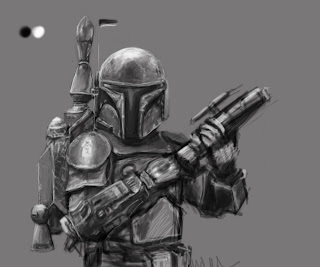 So basically I shade the whole piece in black and white, then create a new layer where I "color in" the figure and it creates this rugged dark colored look. 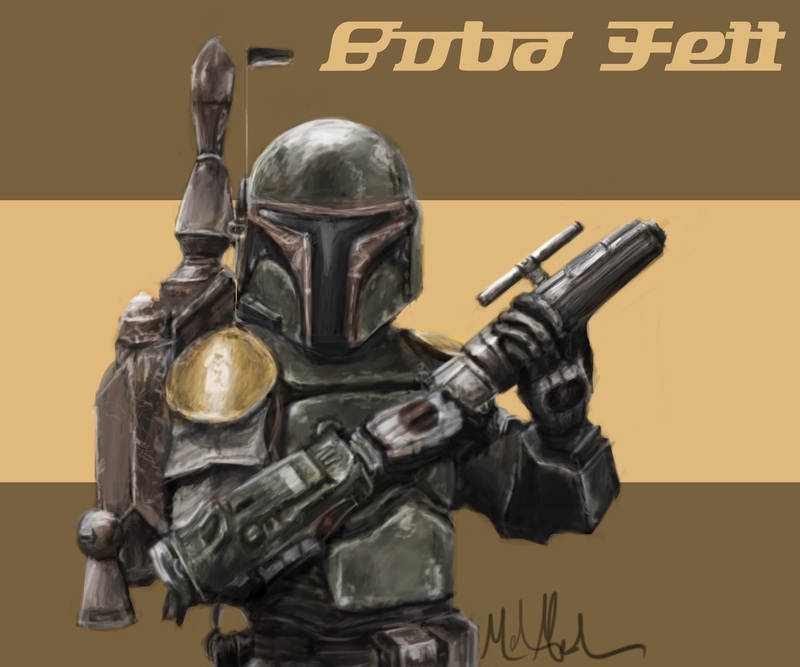 This technique definitely would not work for a a portrait of someone, or even a happy piece, but since Boba Fett is a bad guy the look suits him. Also this is a desktop background I created for Zak, as you'll be able to see in the first progress shot. Progress shots for Boba Fett.